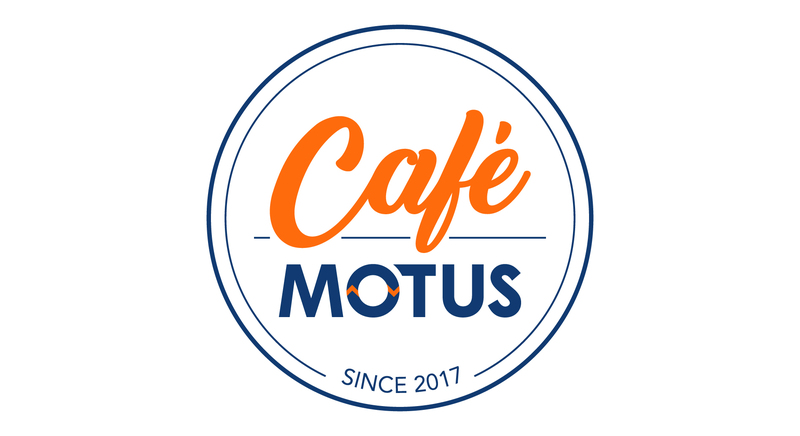 Motus Corporation opened a staff canteen at their new premises. 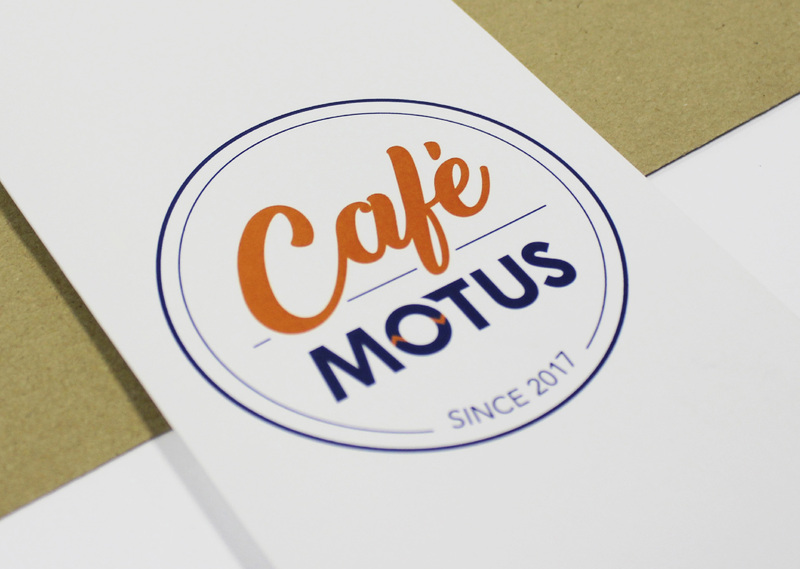 The name Café Motus was selected by the client and required a logo. 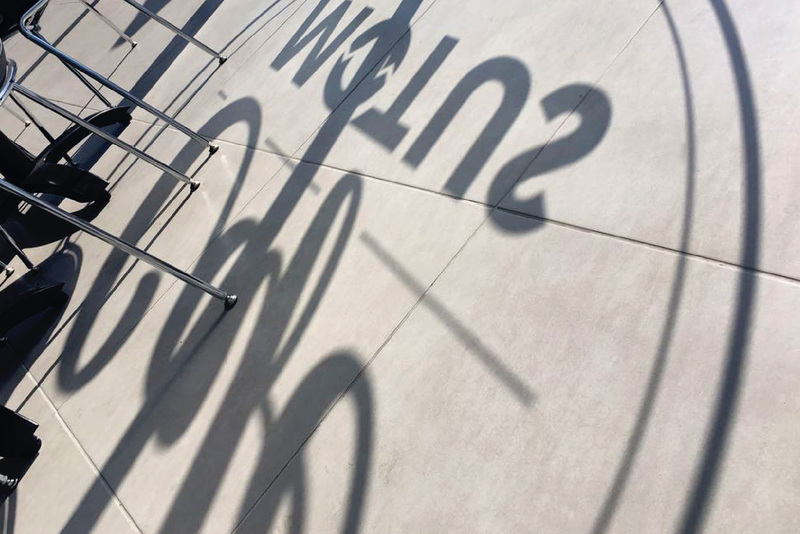 The logo was to retain the Motus wordmark. 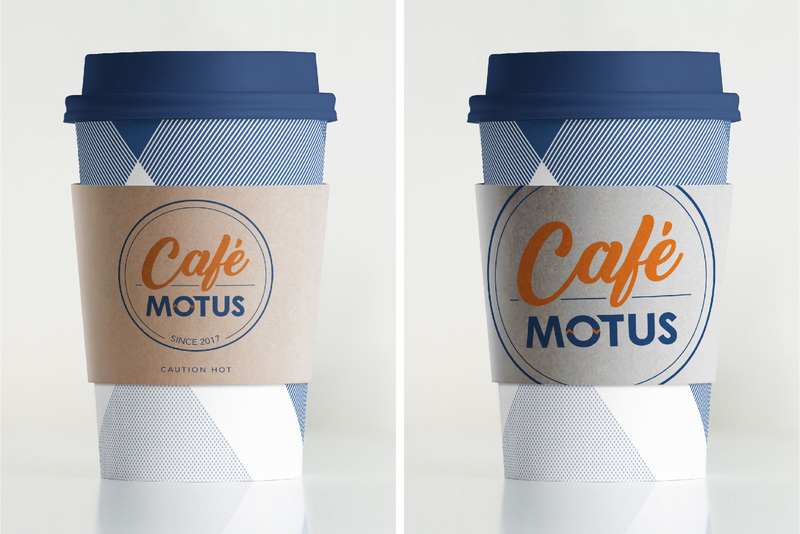 We drew inspiration from the circular shape of coffee cups, coffee stains, as well as the ‘O’ contained in the Motus logo. 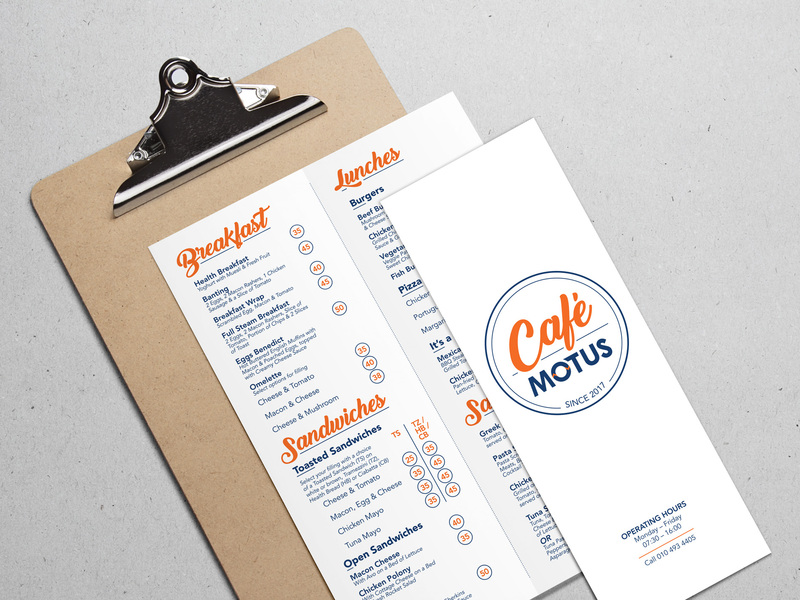 The typography used for Café is based on typical display typefaces associated with cafés and bistros.